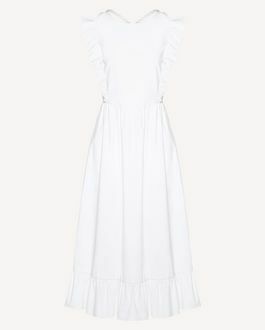 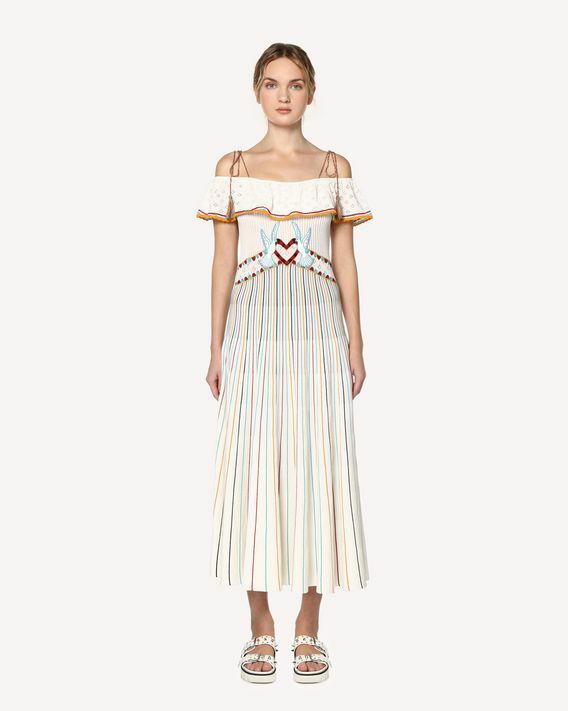 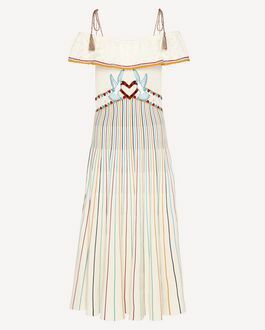 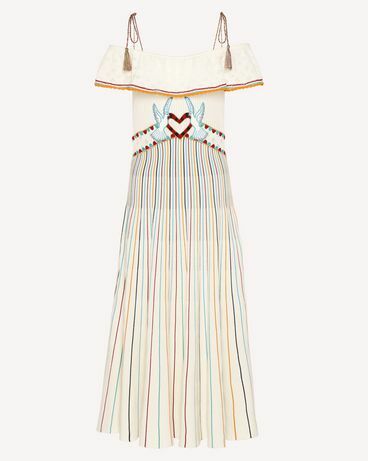 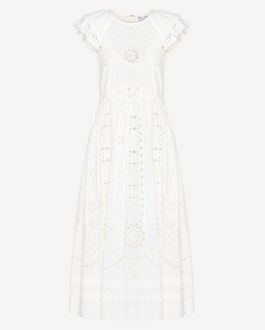 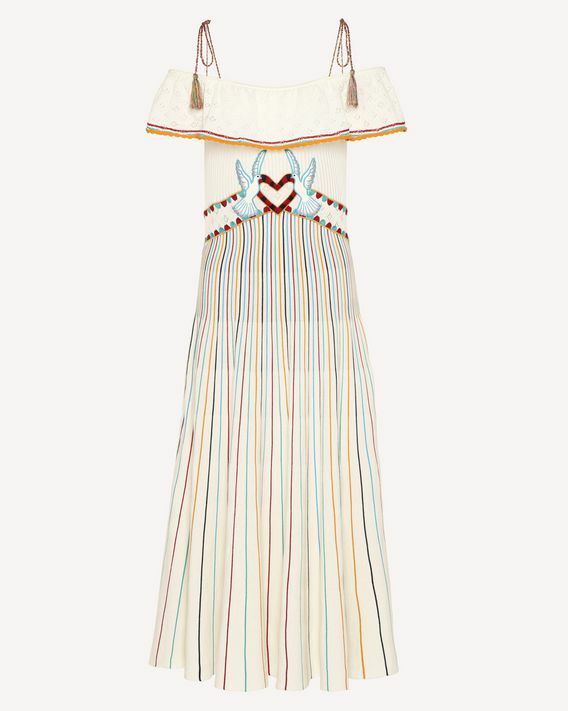 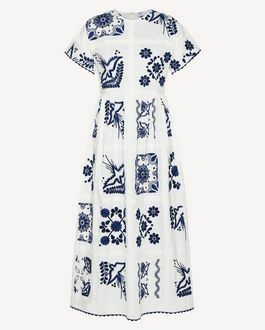 Long knit dress, in multicolor striped cotton yarn, enriched with a Love Celebration thread embroidery, with a central vivid colored heart and two embroidered doves. 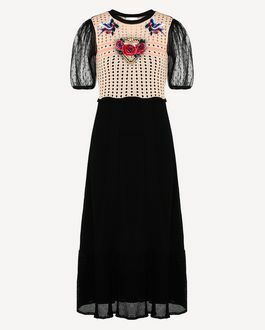 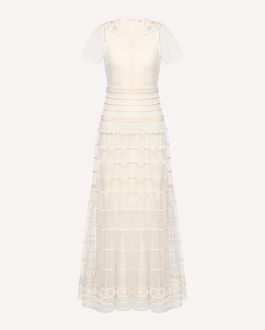 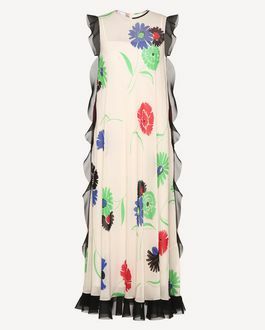 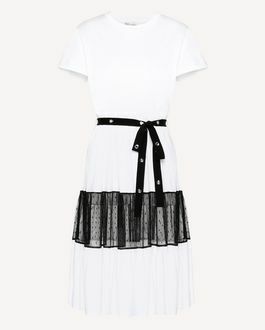 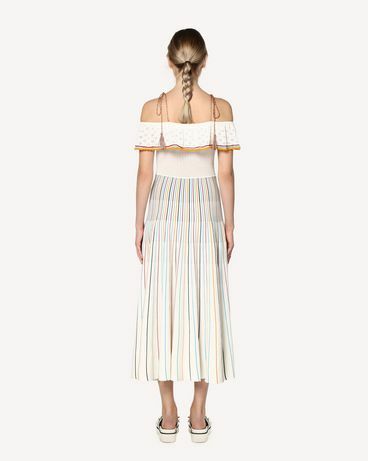 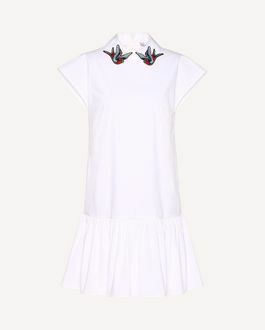 Detailed with a multicolor striped trimmed ruffle along the neckline. Can be worn off the shoulder.